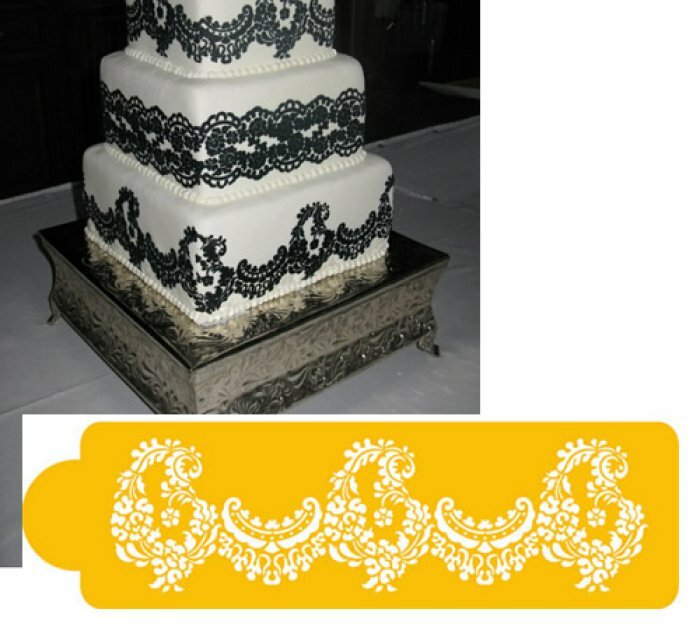 This lace pattern measures 3"H x 11"wide and made out of foodgrade plastic - perfect for a stylish cake. You can stencil cakes with Royal icing, hot fondant, lustre dusts and airbrush sprays! Greg Cleary from Sweetum stunning cake using the Alencon Bottom Tier Stencil.